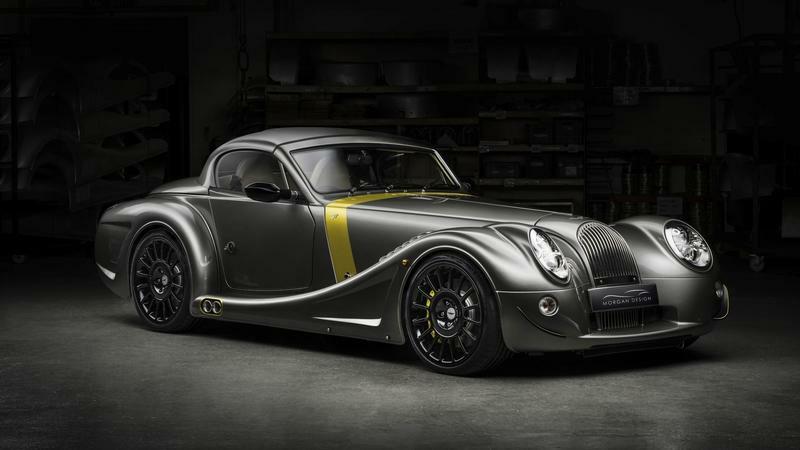 Having just discontinued the Plus 8 and Aero models, Morgan introduced a brand-new vehicle at the 2019 Geneva Motor Show. It’s called the Plus Six and it’s the company’s first brand-new car since 2000. As the name suggests, it features a six-cylinder engine, also borrowed from BMW, but it rides on a new platform too. 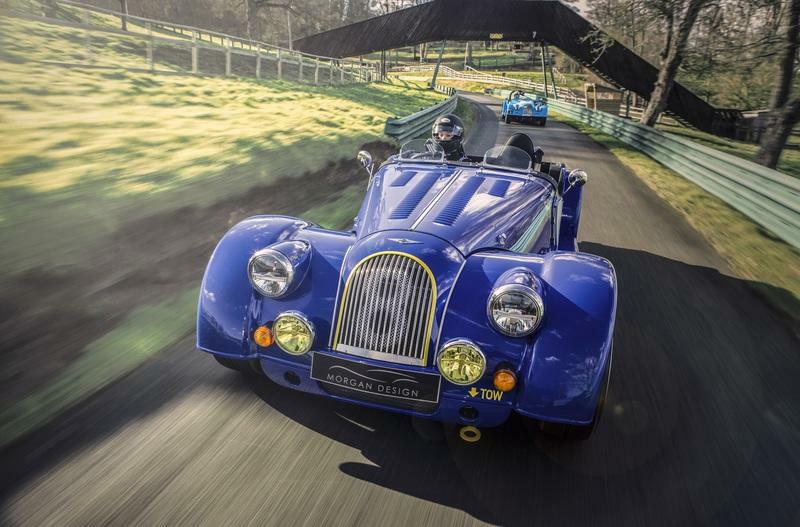 Morgan, the family-owned British car manufacturer that was one of the last in the world to rely on wood for its body structure, announces a new flagship sports car will arrive by the mid-2020s in both coupe and roadster forms. Since 1935, when Morgan released their first four-wheeled car, the 4-4, Morgan designs have strongly relied on the style of that era. 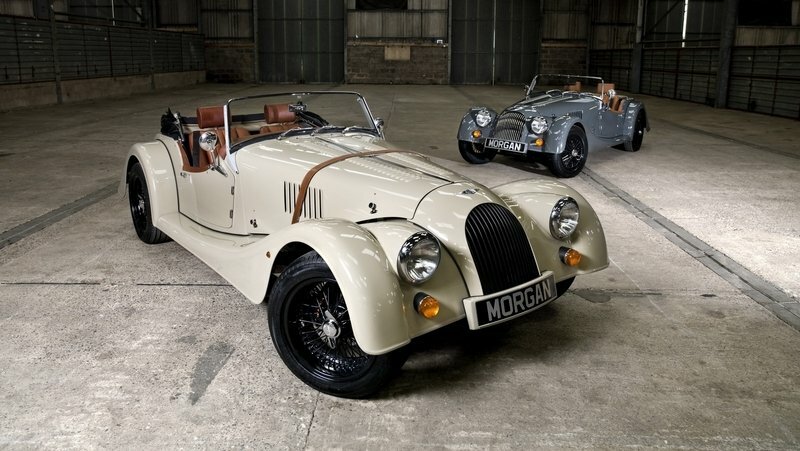 Now, with a new sports car in the making, Morgan announced they too have moved on with the times - sort of - and the new design language will be based on the shapes of the 1960s. The new and so far unnamed car will feature the same front engine rear-wheel-drive layout bolted to a versatile new box-section chassis that will find its way into a number of Morgan products over the next few years. Launched in 2001 as Morgan’s first new design in decades, the Aero 8 is living its final months on the market as we speak. Discontinued in 2010 and revived in 2015, the Aero 8 is going into the history books in 2018 with one final model called the Aero GT. Unveiled at the 2018 Geneva Motor Show, the GT is the company’s most extreme road-going model to date. 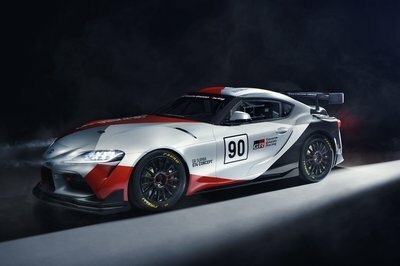 Inspired by the GT3 model that raced at Le Mans in 2002 and 2004, the Aero GT is being built in just eight units, and the first car just rolled off the assembly line. Introduced in 2001, the Aero 8 marked the beginning of a new era for Morgan. Not only was it the first new design since 1948, but the Aero 8 was also the company’s first vehicle to use an aluminum chassis and frame instead of its traditional wooden body tun and steel chassis combo. 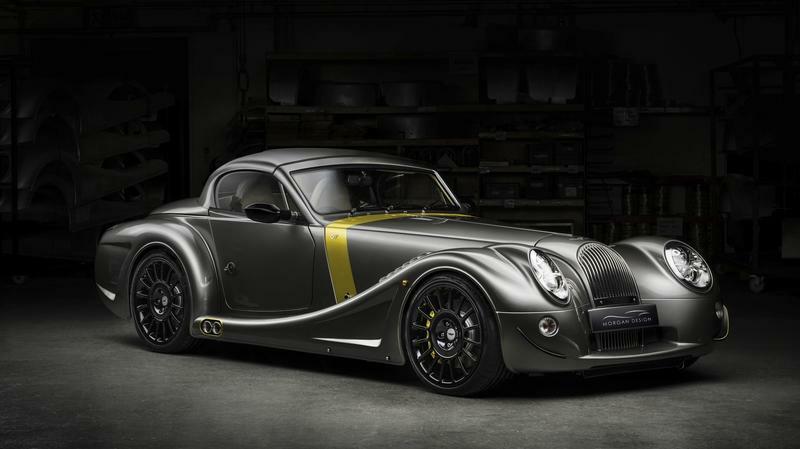 It was kept in production until 2010, when Morgan launched the AeroMax coupe and the SuperSports Targa, and revived in 2015 with mild updates. 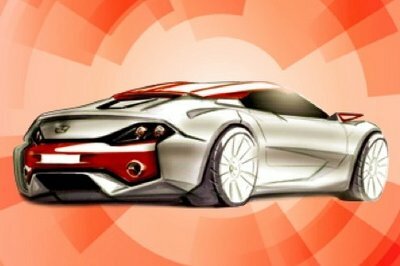 Come 2018, and the Aero 8 is getting the ax again, but this time around production will end with a more extreme iteration that’s called the Aero GT. The big unveiling took place at the 2018 Geneva Motor Show, and only a handful will be built before the Aero 8 goes into the history books for good. The Aero GT is described as a "gloves off" model, and Morgan says it was developed using the lessons learned from the company’s GT3 racing victories. Yes, it’s Morgan’s most extreme road-going model to date. 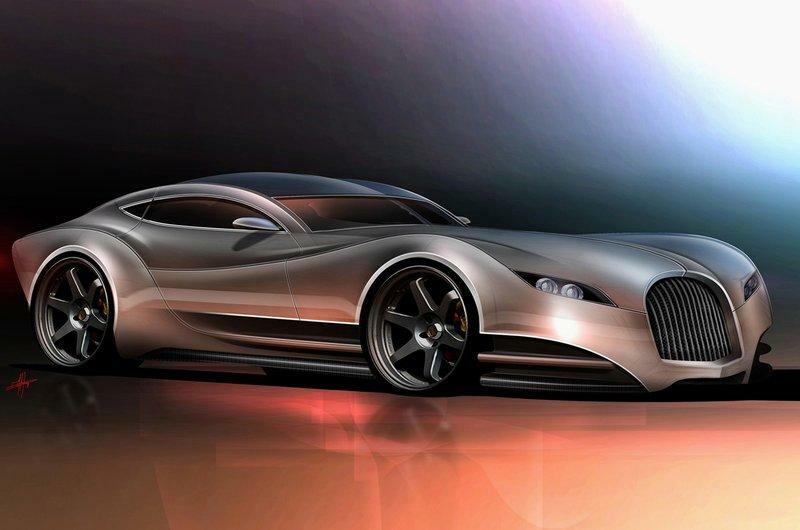 The Aero GT is far from new though, as it was conceived during the development of the 2015 Morgan Aero 8. Morgan doesn’t say whether it wanted to shelve the project or not at first, but the Aero GT never saw the light of day until now. With production of the Aero 8 slated to come to an end this year, Morgan will close the production line with eight examples of the Aero GT. Let’s see what this new sports car has to offer in the review below. Continue reading to learn more about the Aero GT. Launched in 2001, the Aero 8 was and remains Morgan’s first modern design since 1948. 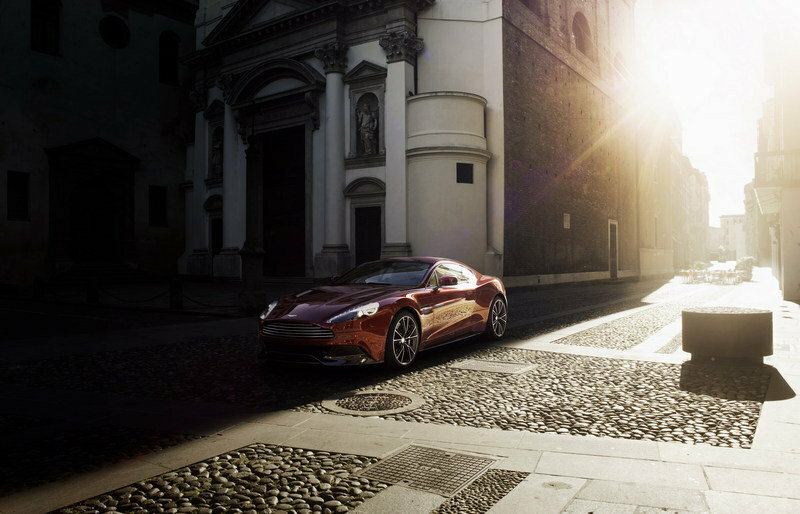 The sleek vehicle spawned a coupe, a Targa, and a race variant before it was discontinued in 2010, but it was brought back to life in 2015 with minor updates. Come 2018 and Morgan decided to discontinue the nameplate for good and crafted one final limited-edition model. 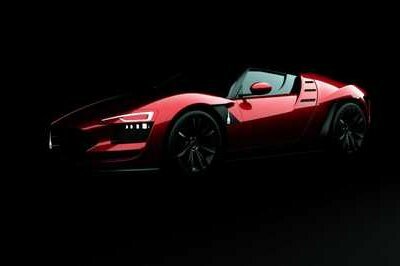 Called the Aero GT, it was just unveiled at the 2018 Geneva Motor Show and will put an end to the Aero nameplate by the end of the year. 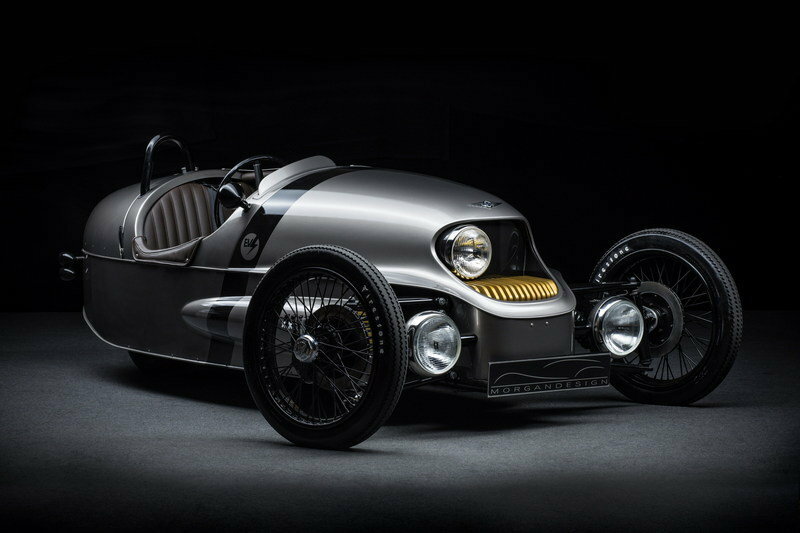 Remember the three-wheeled electric car that Morgan unveiled in 2015 as a prototype and then as a production-ready model at the 2016 Geneva Motor Show? I’m talking about the EV3, an electric version of the famous 3-Wheeler with a revised front fascia. Introduced with full production plans in mind, the EV3 never made it past the limited-edition Selfridges Edition model, but this will change in 2018 according to recent reports. One of England’s most iconic carmakers, MG has had a rather tumultuous history in recent decades. Owned by no fewer than six companies since the late 1980s, including BMW, the brand was revived by China-based SAIC Motor in 2006 and renamed MG Motor UK Limited. Several models followed, including a couple of SUVs, a first for the automaker. 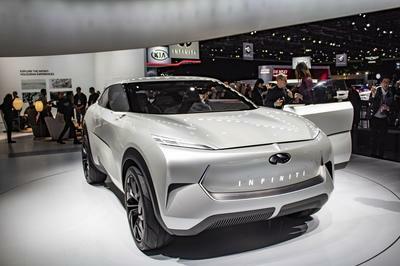 But SAIC also developed some daring concept cars, the latest of which is the E-Motion. Launched at the 2017 Shanghai Motor Show, the E-Motion is MG’s "vision of the future" (oh boy, if I had a penny for each time I heard this phrase) and comes in the shape of a slender, sportback-style two-door coupe. Arguably the most appealing modern MG design to date, the E-Mission combines some of the company’s recent styling cues with several new features. There’s a big "starlight matrix" grille up front, a carbon-fiber splitter, and round headlamps "bringing inspiration from the London Eye," the giant Ferris wheel on the South Bank of the River Thames. 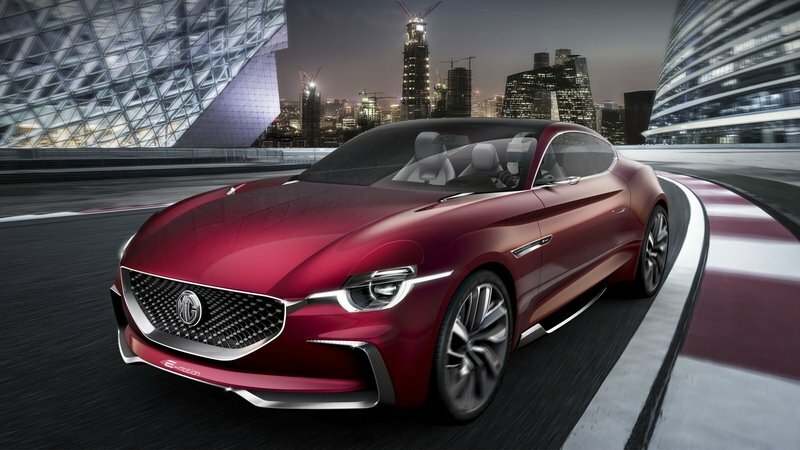 I dig the new face of MG, but I have to admit that I see some Mazda inspiration in there. Just when you thought that finding different ways to get children engaged in motor racing had run its course, here comes Morgan with a literal vehicle that’s designed specifically for kids. 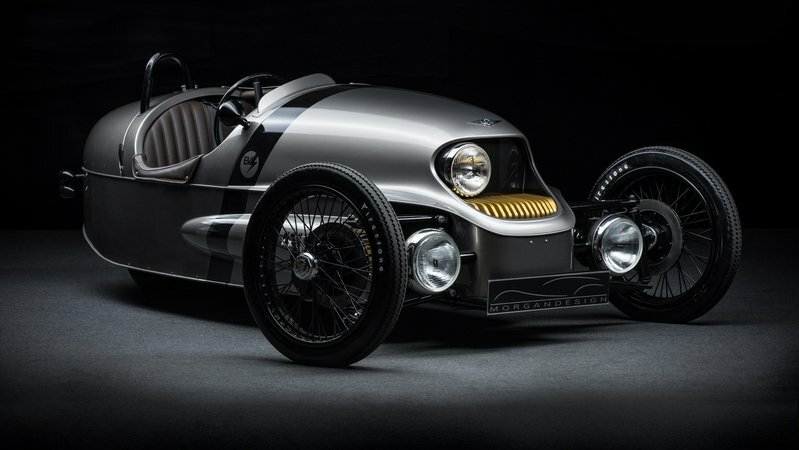 It’s officially called the Morgan EV3 Junior, and it is a true sight to behold. 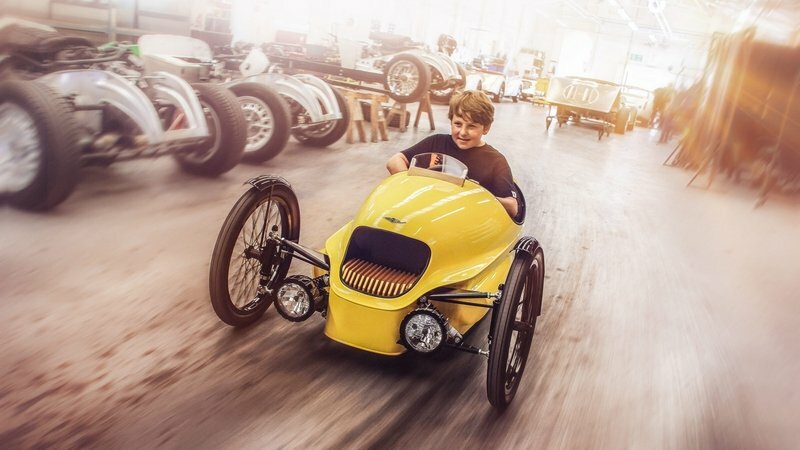 Before anybody starts questioning the build quality of the EV3 Junior, it’s worth mentioning that this is an actual Morgan, albeit shrunk in size for kids six years or older. It’s got a legitimate carbon fiber body, a wooden dashboard, and a little windscreen. Heck, it even has a hand-stitched leather interior, which I’m pretty sure you won’t see on any Tonka or Little Tykes toy cars. 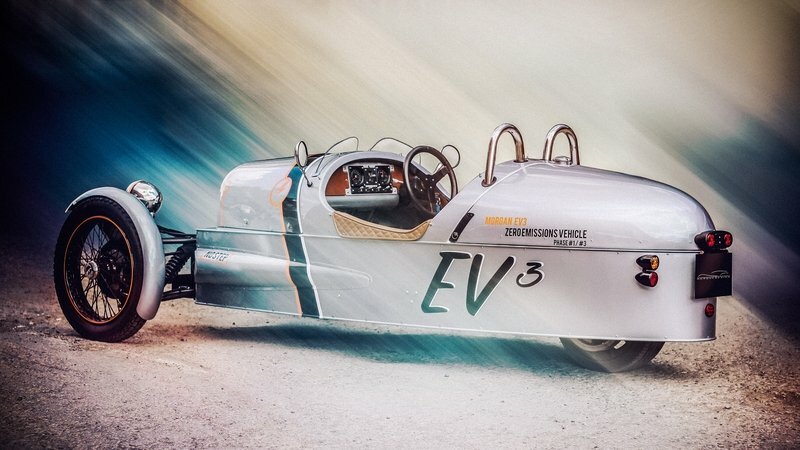 But here’s the best part about the EV3 Junior: it also has a fully electric powertrain that’s capably of speeds of up to 10 miles per hour. Remember the electric McLaren P1 that McLaren unveiled last year? Its top speed was limited to three mph. Yep, this is the only time in automotive history that you’ll ever hear the words “a Morgan is three times faster than a McLaren” without actually lying about it. Apart from the impressive build quality and performance credentials of the EV3 Junior, the little Morgan also comes in a choice of three standard colors: Sport Green, Sport Ivory, and Sport Red. If you’re not digging any of the three colors, you can opt to pay a little extra and dress up the car in any color that the British automaker has in its lineup. Even better, Morgan’s also offering sticker packs in case you want to class up the personalization of the car. All told, the Morgan EV3 Junior is as good as it gets as far as legitimate junior cars are concerned. It’s got a pretty steep cost of $8,432, but for what you’re getting with that amount, I’d say it’s worth some serious consideration. 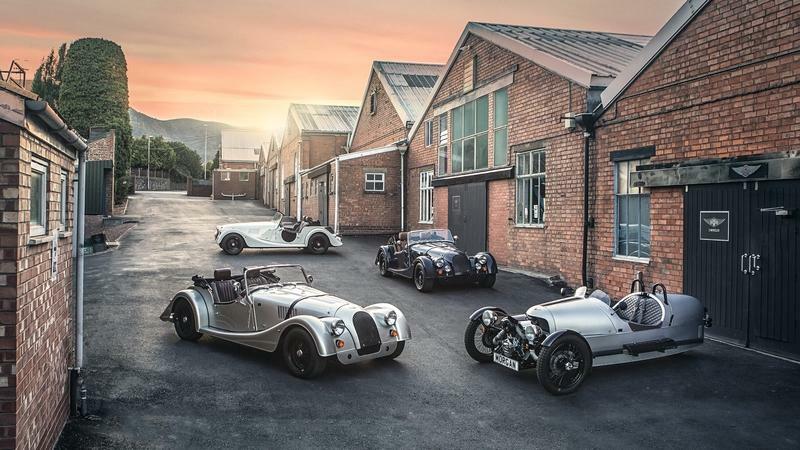 Those interested in the Morgan EV3 Junior can avail it through a number of means, including through MOrgan’s online shop, any Morgan dealership, or directly from the company’s factory in the UK. British automaker Morgan has announced that its four-wheel models will return to the United States after 10 years of absence through the company’s official U.S. arm, Isis Imports. Previously allowed to sell the 3-Wheeler model only, Isis will, from now on, be able to import the more traditional four-wheeled models thanks to a new law. 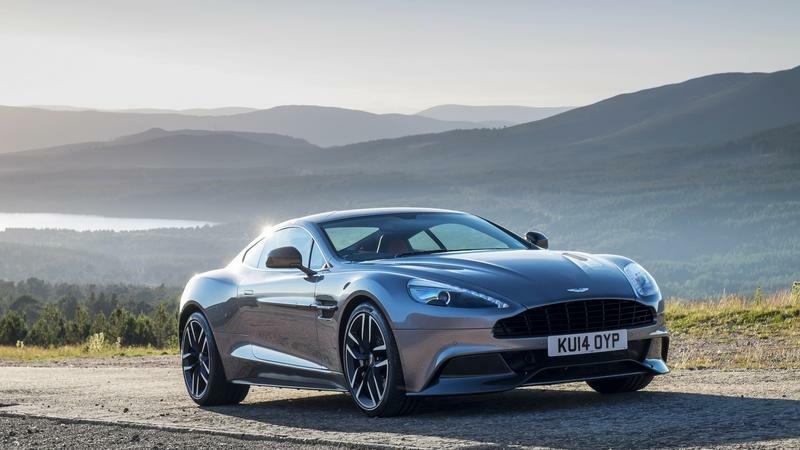 The British carmaker has yet to say which models will cross the pond to North America, but it’s likely that customers will have access to some of the vehicles from the Classic lineup, which includes the 4/4, Plus 4, Roadster, and Plus 8. “While details remain to be finalized, the latest word from the Morgan Motor Company is that they anticipate opening the order books for NEW Morgan cars for the USA, possibly as soon as this summer,” Isis Imports said in a statement. “It is possible that production may begin on USA spec cars before the end of the year." 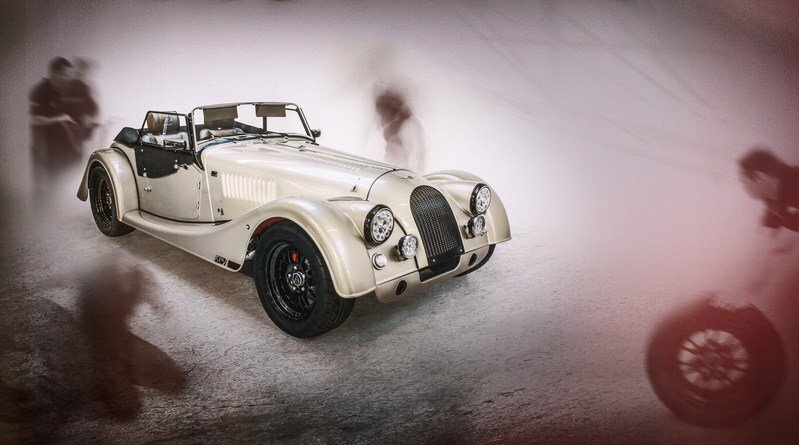 Isis Imports is already accepting deposits for four-wheeled Morgans, which are refundable "up until eight weeks prior to the build of your car after your specifications are finalized." Pricing information is not available, but expect U.S.-spec Morgans to be a tad more expensive than their British-market counterparts. The most likely vehicle to head this way is the Roadster, which uses a 3.7-liter V-6 rated at 280 horsepower and 280 pound-feet of torque. Tipping the scales at only 2,094 pounds, the Roadster hits 62 mph from a standing start in only 5.5 seconds and tops out at 140 mph. Henry Frederick Stanley built his own three-wheeled car in 1909, and a year later, Morgan Motor Company began producing its own cars. These odd looking cars had two wheels up front and one in the rear, and were produced up until 1952. But, long before then, Morgan developed its first four-wheel car, the 4/4. Aside from a short shut down during World War II, the 4/4 has been continually produced. Now 2016 marks the car’s 80th anniversary. 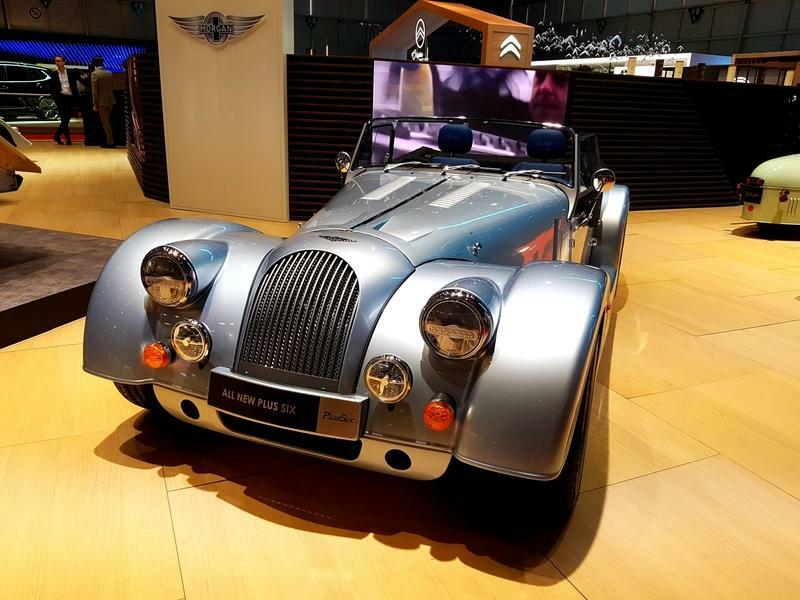 In 2011, Morgan released the Morgan 4/4 75th anniversary edition, so it is no surprise the Morgan showed up at the Geneva Auto Show this year with another special-edition 4/4 in tow, this time, to celebrate the car’s 80th anniversary. The car has changed a little over the years, but deep down it still has that old-school styling that was popular back in the 1930s. This styling might cause some, especially the younger generations, to dismiss it quickly, but the car deserves a lot more attention than that. It is, after all, the world’s longest running production model. 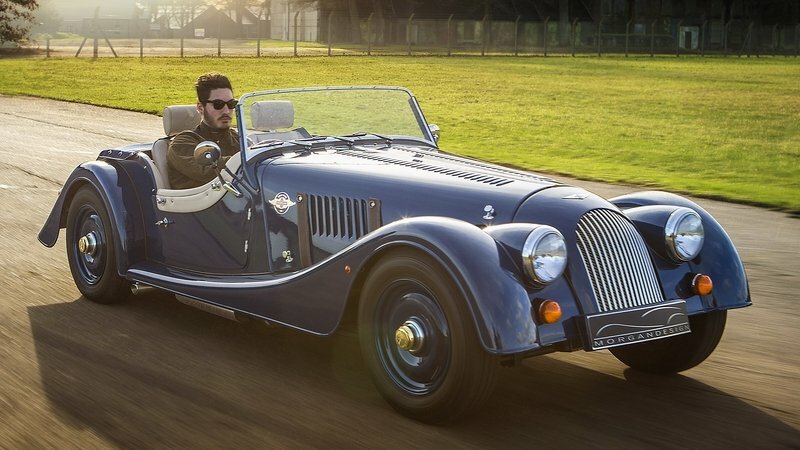 Morgan is slated to produce just 80 models of the 80th-anniversary edition, complete with special features designed specifically for the special edition model. There is, of course, some personalization available, but you’ll see that the special features included as part of this special edition are more than enough to pay homage to this long-running model. So, now that we’ve talked about the history of the model lets dive in and take a deeper look at the 80th-anniversary edition. 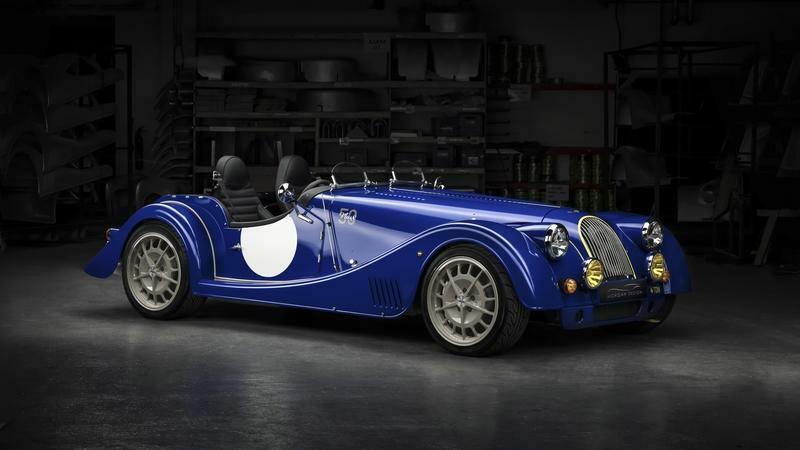 Continue reading to learn more about the Morgan 4/4 80th Anniversary Edition. They say Porsche’s been building the same car for decades. But next to Morgan, Porsche looks like Lexus 2050. So tightly has Morgan held to tradition that not only do its new cars look like they might have been designed in 1950, they’re built like it, too. As of right now, Morgan is the only car company in the world to build its frames out of wood. Yes, wood. As in, the stuff that used to be trees; in this case, ash trees harvested locally from the Malvern Hills. Now that’s tradition. Of course, you’d expect a car company so deliberately steeped in the grandiose past to plan something big for a notable commemoration. This year marks the 65th birthday of the company’s most successful model, the Plus 4. 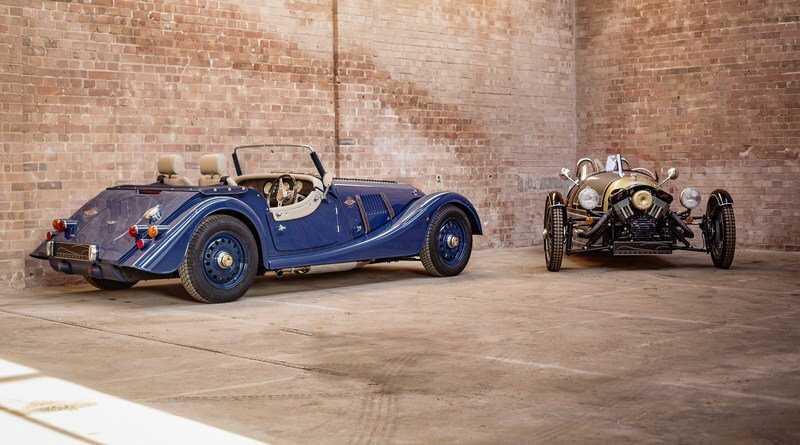 While 65 years old is technically old enough to collect a pension in England, Morgan’s limited run of 50, Cosworth-powered AR Plus 4 proves that this dapper old chap isn’t quite ready for the retirement home yet. Continue reading to learn more about the Morgan AR Plus 4. 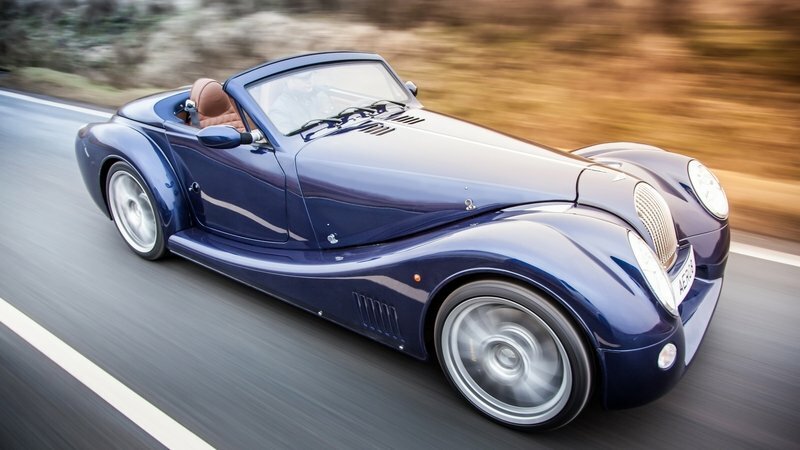 It’s a well-known scientific fact that the Morgan 3 Wheeler is the greatest car in the world. By modern standards, this tiny roadster with a missing wheel is archaic. 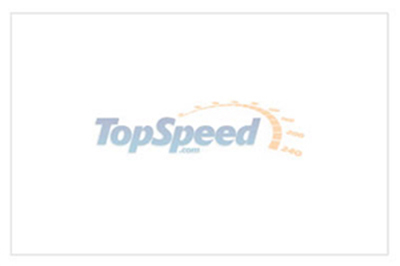 With an 82 horsepower motorcycle engine, it’s not particularly fast. Its chassis is constructed using techniques from the 1930s. It doesn’t have an infotainment system or even an AM radio. Those might sound like negatives, but brought together they make for one of the most fun and engaging cars on sale today. 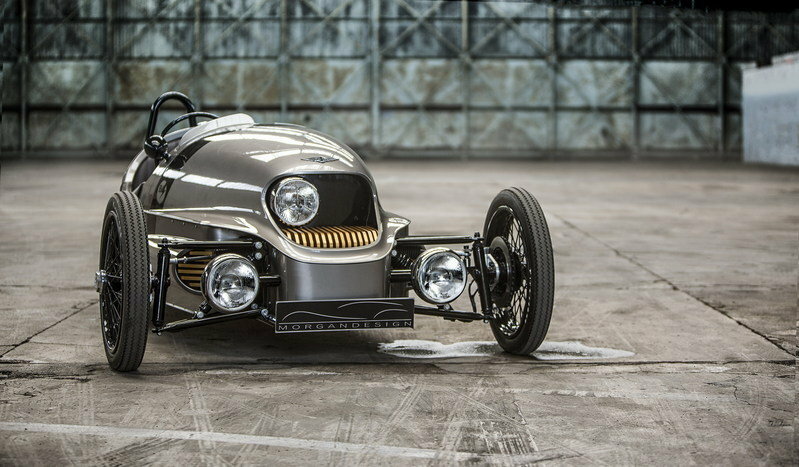 Now Morgan has a new 3 Wheeler called the EV3, that ditches the V-twin engine and replaces it with an electric motor and battery pack in the rear. Morgan says the electric drivetrain is good for 75 kW, the equivalent of 100 horsepower, and has range of about 150 miles. At a featherweight 992 pounds, it’s also a good bit lighter than the gas-powered 3 Wheeler, which is about 160 pounds heavier. The lack of a V-twin hanging off the front helps simplify styling, and the polished-aluminum body and disc front wheels make it look like a shrunken version of something you might see streaking across the Bonneville Salt Flats. Overall, the subtle, yet effective changes give a sort of 1950s-retro-futurist feel. Only a concept for now, the EV3 will be shown later this month at the 2015 Goodwood Festival of Speed. 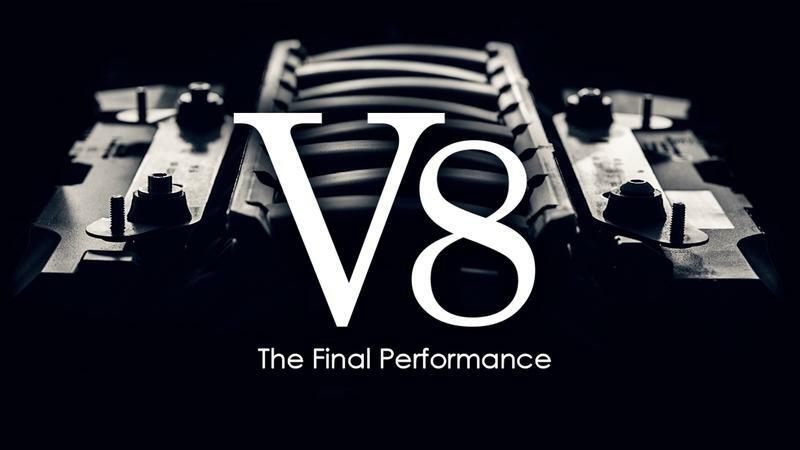 It’s currently in development and a production version is planned for the end of 2016. 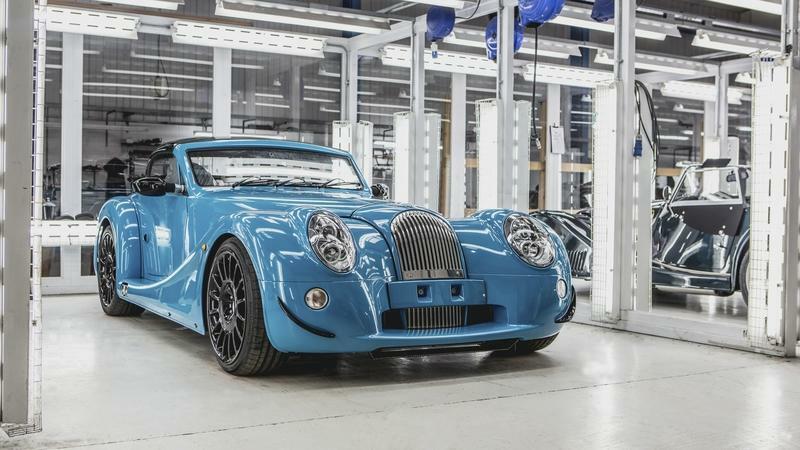 Like the regular 3 Wheeler, Morgan says production EV3s will be bespoke-built to order.